We tried to research the best methods of training to climb Mount Everest, but surprisingly there wasn’t a lot of information available. Living in Australia means that ready access to high mountains is just not possible, so we have had to look at alternatives. For our past climbs we have employed various training approaches ranging from almost nothing (!) to extensive work at the gym. 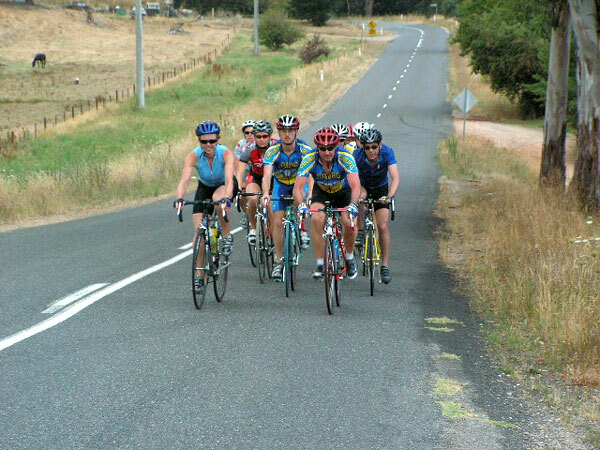 This time our training has comprised of cycling, bushwalking and limited weight training. Given the reduced air pressure and associated oxygen levels at higher altitude, we feel that aerobic training is the most important aspect of conditioning ourselves to climb high mountains. A highly efficient cardio vascular system will help us operate better when there is much less oxygen present. Our aerobic training has been a mixture of relatively short, high intensity / interval sessions (around 1 hour in duration), along with longer sessions for endurance (anywhere from 2-13 hours). Over two years of focused aerobic training, our resting heart rates at sea level have dropped from 55bpm to 37-40bpm. The average person’s resting heart rate is 72bpm. We have used road cycling as our primary form of aerobic training. Neither of us have great running technique, so we tend to not be able to spend long amounts of time running without sustaining repetitive-use injuries. 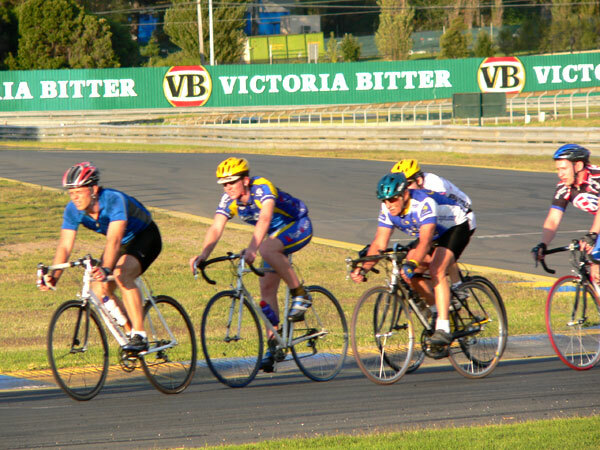 Being a low-impact activity, cycling has enabled us to spend the time required to gain the effects of extended aerobic training. 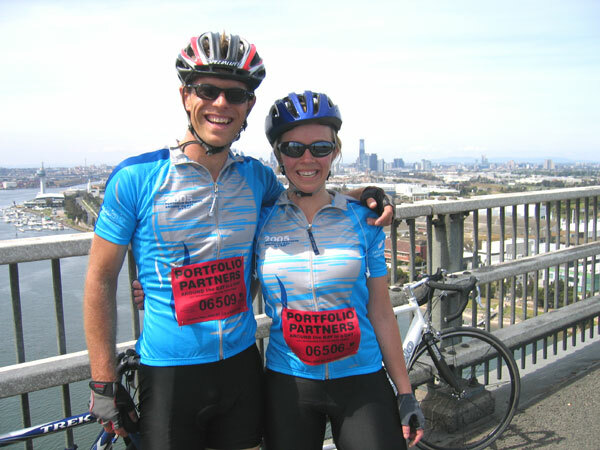 We joined a cycling club and started racing in local road races and criteriums. This has helped us to benchmark our fitness against a wide variety of people and not just ourselves or the same training group. This has definitely pushed us to higher levels than training without competition. When someone passes you in a race, you can’t help but think that you have to do better, as you are the one wanting to climb the highest mountain in the world! We have mixed our cycling training with some hilly hiking trips as well. During these trips we’ve sought out the routes with the greatest height gains we can find. 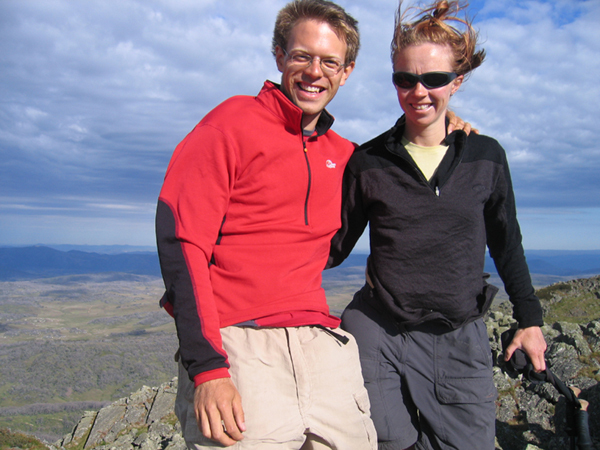 We’ve also structured our hikes so that each day is relatively long (8-13 hours) to help with endurance. Plus, invariably things never go 100% to plan, so they’ve been good mental conditioning as well. However, some of the biggest challenges we’ve faced while hiking, we’re not likely to encounter on Everest – extreme heat (35-43 degrees Celsius) and huge numbers of blowflies! In December, we spent 8 days hiking through the Bogong, Feathertop region and also did some walking along the Mornington Peninsula. 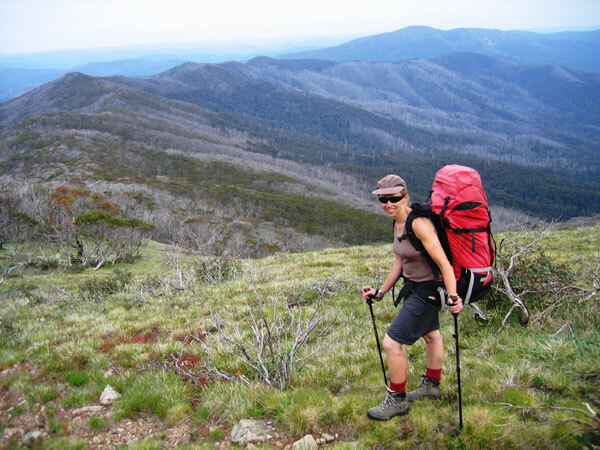 In January, we hiked around 45% of the Alpine Walking Track in 10 days (from Canberra to Thredbo), and also spent some time camped at the base of Mount Bogong hiking up and down each day (twice a day). We’re planning to do the next section of the Alpine Walking Track before we leave. In order to monitor our training, we purchased Polar 725 watches and have found these to be very helpful. They are designed principally for cycling, but the altitude function also works very well. Of most benefit is the ability to record every training session and then download it into your computer for analysis. The software that is included when you purchase the watch has a training diary function, so you can review how many sessions done in a period, total altitude climbed, distance ridden, calories burned, etc. For each session we can view our heart rate, speed, cadence, and altitude all graphed against time. The software helps you analyse your training over weeks and months – if you miss a day it really sticks out! While our focus has been on aerobic training, we have also done some strength work. Fiona has been doing some leg and upper body weights at the gym for the last year or so and we have both been using a rowing machine to help strengthen the muscles for climbing on fixed ropes. 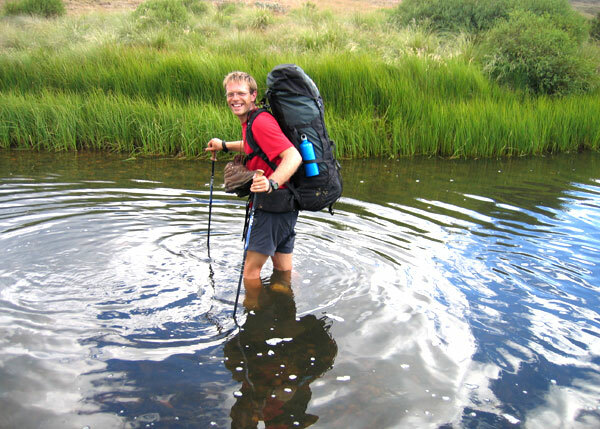 Both the cycling and hiking training has also helped strengthen and condition our legs. We have been really fortunate that we have been able to train full-time (for Paul since July 2005, and for Fiona since November 2005). We realised that to attempt a climb of Mount Everest, we really needed to put 100% of our energies and focus into our preparation. Since then, our performance in cycling races lifted a lot due to being able to fit a lot more training in each week. We also found that beforehand we were becoming fatigued and invariably we were enjoying training less and less. This improved dramatically once we were able to remove some of the other pressures in life and also give our bodies the extra rest they need while training – with a afternoon nap every couple of days (well we are rising at 5:30 everyday to train!). Is it enough and have we done the right thing? We will only know once we get there!